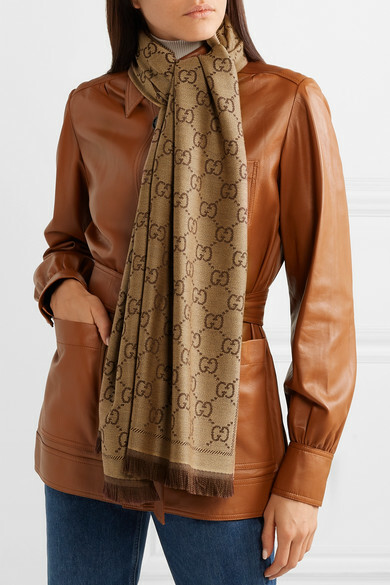 Gucci's 'Sten' scarf is the perfect accessory to showcase this season's logomania trend in a more pared-back way. 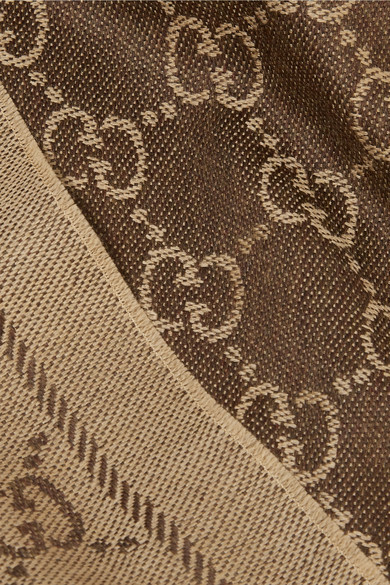 Made in Italy from warm wool, this reversible style is woven with the brand's signature 'GG' logo and trimmed with soft fringing. The neutral brown and beige hues will complement almost anything in your closet. Shown here with: Helmut Lang Sweater, AGOLDE Jeans, Joseph Jacket.